Perfect for Valentines, Weddings or Party Decoration. 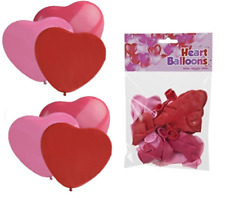 20 Pcs Heart-Shaped Latex Balloons. Balloons are made from 100 percent latex. 30 England Balloons. Check out our other England Decorations & Souvenirs. Size: 12" approx. Made by PMS International. Rest of the World. 23cm heart shaped balloons. These are good quality THICK balloons! Reasons to buy from Quickdraw. 2x Self Inflating Red Rose Balloons. Give The Gift Of Love With These Beautiful Self Inflating Roses. Includes blow straw & 2 Balloon Sticks. Love text balloon. A must have for any fun get together or occasion. Material: Latex. Size: Standard (Approx. ). No 1 Mum Balloon and Inflatable Crown Set. Inflate Your own Mum balloon and crown. 10" / 25cm balloon. Includes a blow straw and stick. LED glow balloons. extc therefore you will receive a mixed of picture balloons. -Light up balloons with SUPER BRIGHT LED bulb. -Inflate the balloon as normal. ,Mickey mouse. - pull the tab to switch on the light. 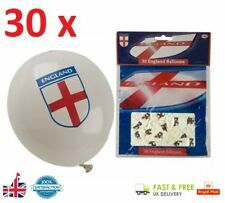 30 x England Balloons. England St George Flag design. Slide the LED light string through the stick tube and attach the balloon to the top of the stick. 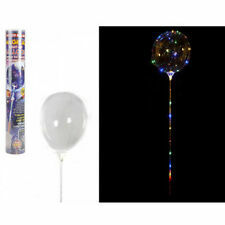 3 x LED Light Up Balloon Large 12” Clear Party Décor. Wrap the remaining light string around the balloon. 24 x Balloons. 100% Latex. No celebration is complete without balloons! 30 x Balloons. 100% Latex. Good Luck Self Inflating Balloons Size 18cm 2 x balloons with clip on sticks Press and shake to inflate Great for parties For exams, driving test etc . Love Text Letter Balloon. Included blow straw & 2 balloon sticks. 10 x Balloons. 100% Latex. A must have for any fun get together or occasion. Available in a range of colours to ensure they are suitable for all occasions. All supplied in a wide range of finishes. Along with our Switches and Sockets we have several other categories for you to browse through with a wide range of products. LED Balloons choose your colour! PARTY Decoration Wedding Kids Birthday UK! 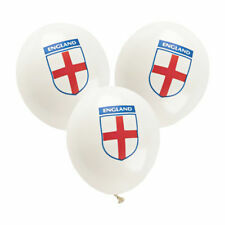 England Balloons Size 12" Colour white 30 balloons England flag Ideal for a football event . Would be a great romantic gesture for Valentines or would make great wedding decor. They are 40cm. Inlcudes blow straw and 1.2m ribbon. red foil balloons. red I heart U balloons. We are constantly researching new products and expanding our range daily. Made from natural latex rubber. All BT AB31-AB56, JE1-JE5 GY1-GY10 IM1-IM9 & IM86, IM86 & IM99 TR1-TR27 PA1-PA49 & PA60-PA80 PH1-PH26 & PH30-PH44, PH49 & PH50 IV1-IV32 & IV23, IV40-IV56 & IV63 HS1-HS9 KA11-KA15, KA20, KA31-KA37 & KA48 KW1-KW17 ZE1-ZE3. Foil pink colour. All BT AB31-AB56, JE1-JE5 GY1-GY10 IM1-IM9 & IM86, IM86 & IM99 TR1-TR27 PA1-PA49 & PA60-PA80 PH1-PH26 & PH30-PH44, PH49 & PH50 IV1-IV32 & IV23, IV40-IV56 & IV63 HS1-HS9 KA11-KA15, KA20, KA31-KA37 & KA48 KW1-KW17 ZE1-ZE3. 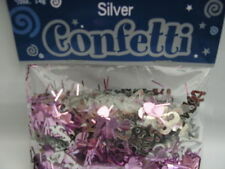 These confetti balloons are a fantastic alternative to plain blow up balloons. The elegant design makes them ideal for more formal occasions as well as kids parties - they will love watching the confetti fly around when the balloon is shaken! White balloons with a colour changing LED bulb. Light Up Party Balloons. Colour Changing. Simply pull the tab to switch the lights on. Super Bright. Ditch the bog-standard party balloons because there’s a new kid on the block! This Magical Light-Up Balloon is illuminated by LEDs to create a seriously funky feature. It’s a fab decoration for parties and celebrations! Suprise Your Mum In Style This Year. Simple and easy to inflate, burst the bag in the balloon, shake the balloon and watch the magic happen! The ideal gift for your loved one this valentines, set them up in the house or give them as a gift. Inflate Your own Dad balloon and crown. 10" / 25cm balloon. Includes a blow straw and stick. 72 x 16cm / 28 x 6.3" crown (uninflated size). Can I have my order faster?. Calendars / Diaries. Gifts for Her. These punch balloons make fantastic party bag fillers - kids will love bouncing this sturdy balloon around from their hands. 8 x Balloons. 100% Latex. Inflate Your own Dad balloon. Includes a blow straw and hanging ribbon. Can I have my order faster?. Disney / Character. Gifts for Kids. Gifts for Him. Gifts for Her. 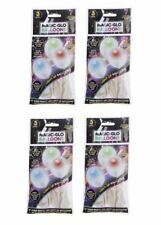 12 x Super Bright Colour Changing Light Up Party Balloons. White balloons with a colour changing LED bulb. Simply pull the tab to switch the lights on. For best results use in a dark room. Light lasts for at least 15 hours. 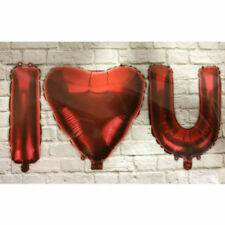 Large (45 x 54.5 cm) I Love You Inflatable Heart Great Valentines Birthday Gift! 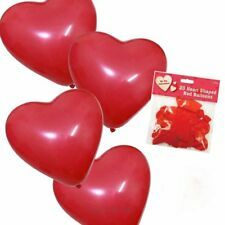 4 x Balloons Valentines Birthday Inflate Your Own Job lot! !